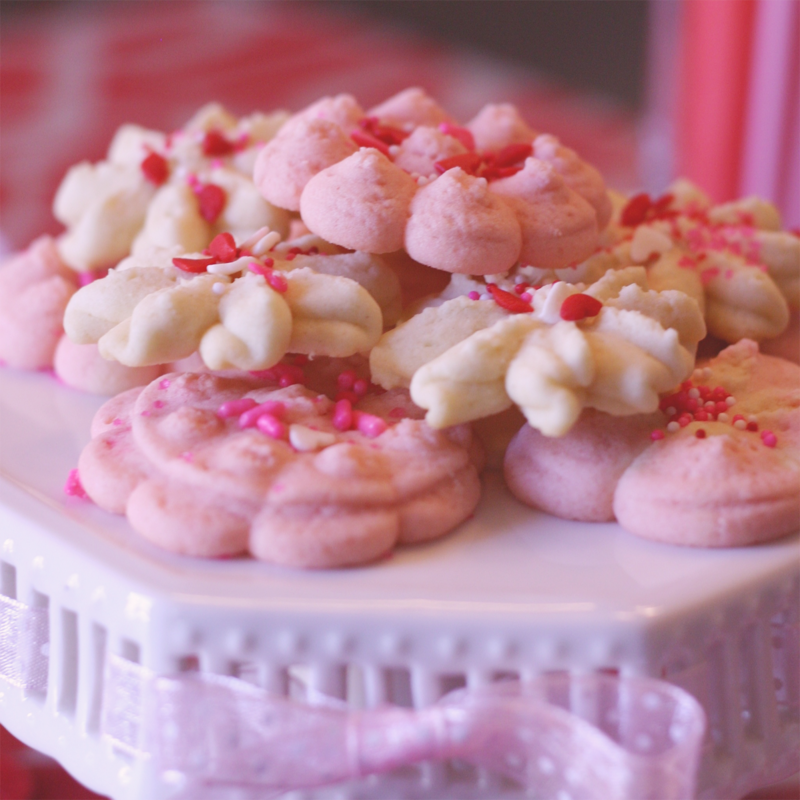 Spritz Cookies have been one of my favorite cookies since I was little. 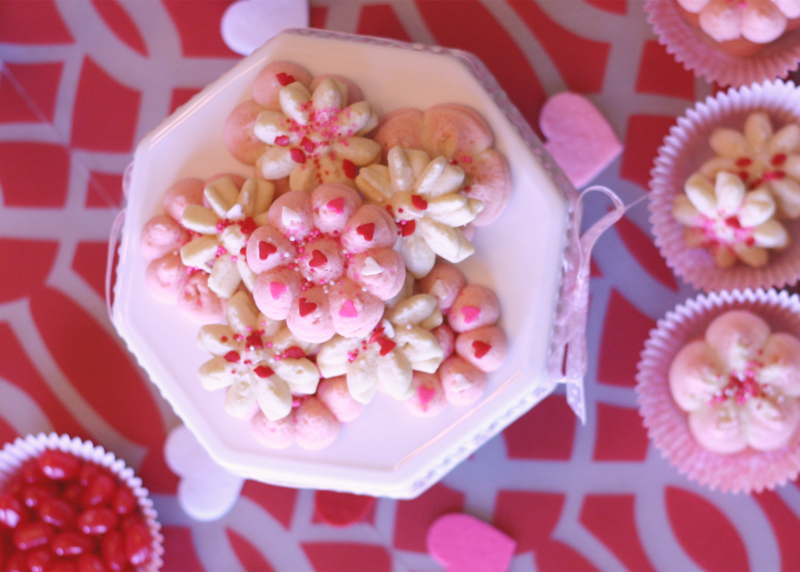 It was probably my Mom, an avid baker and all around great cook who first introduced these yummy treats to me. But is was our good family friend, Paula, who had what we decided was the best recipe. I have made Spritz Cookies pretty much every year at Christmas for much of my adult life, but this year it didn't happen. Between a crazy busy season at work coupled with all the other things that make the holidays insane and wonderful, I never got around to making cookies. Fast forward to last week, when I was craving a yummy treat and "ah ha", there's no rule that says they can only be made at Christmas. 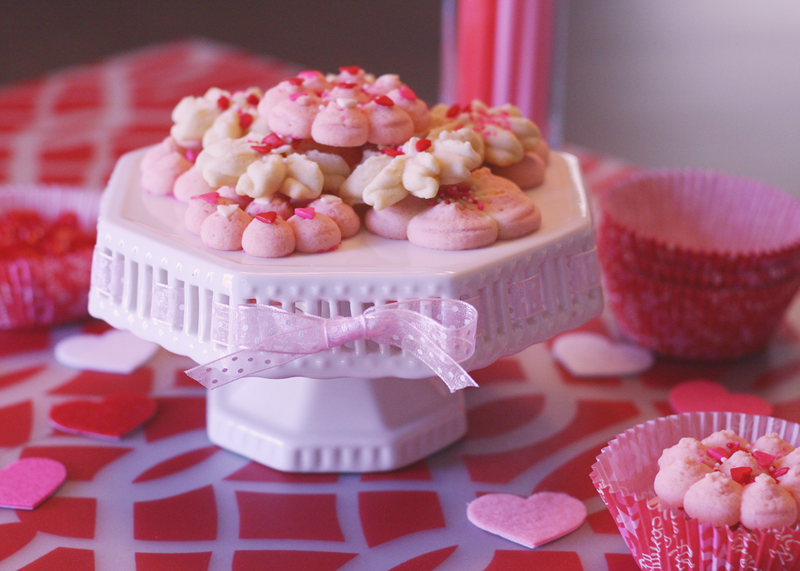 Valentine's Day Spritz Cookies it is! 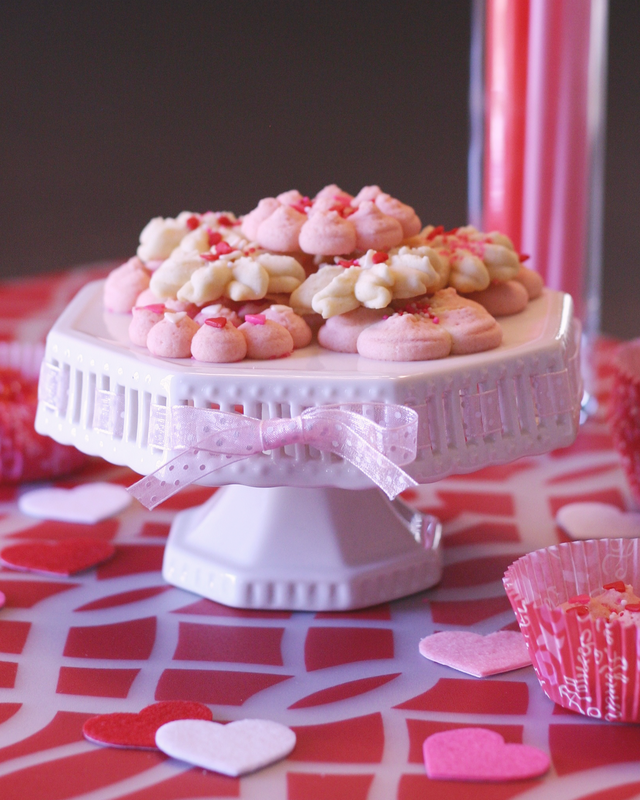 There are only a few ingredients, compared to many cookie receipts anyway, but there is one gadget that is definitely a requirement: a cookie press. Now, I have used a few different ones over the years, from cheap to electric, but I have to say the best one I have found is a manual model from Wilton that I've had for 15 years and counting and still works great. They currently make a similar model, as does OXO and a few other companies. 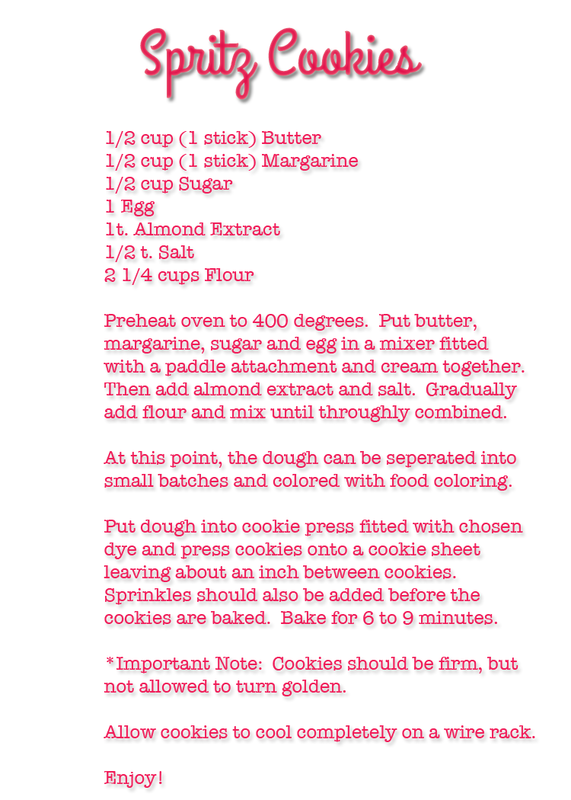 Follow the jump for the receipt along with more cookie pics! These cookies are almost too cute to eat... almost. Here's a few more pictures just for fun!